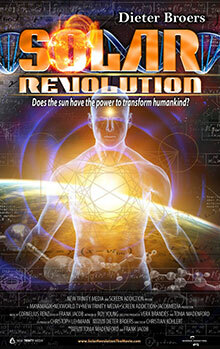 SOLAR (R)EVOLUTION was the final highlight of the King of Organs - Congress in Al Ahsa, Saudi Arabia. The interdisciplinary cardiology meeting presented a program this year presenting a representative reflection of progressive approaches in advanced cardiac medicine. The presenters were all internationally renowned experts, whose contributions to the conference were characterized by a holistic view of the human existence. In Europe, the prospects of a holistic, integrative medicine have also achieved a broad acceptance, as the efforts of organizations like the International Society of Biopsychosocial Medicine http://www.bpsmed.net clearly demonstrate. Dieter Broers held a highly regarded lecture on the effects of weak electromagnetic fields on the neuronal activity of the human brain and the heart. The screening of the film SOLAR (R)EVOLUTION was received with great applause and a number of members of the faculty offered to announce the release of the film to the members of their societies. The President of the Congress, Prof. Abdullah Abdulgader was deeply impressed by the message of the film and spontaneously offered to supervise a translation of the script into Arabic and to support the release of the movie in all the countries of the Arabic world.